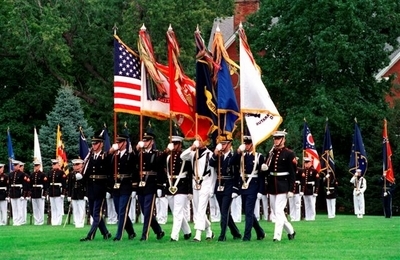 These Armed Forces Ceremonial and Positional flags are made to exact government specifications. They are available in Nylon (Applique) or fully Embroidered versions. They feature a flannel-lined pole hem heading with leather tabs and golden rayon fringe.